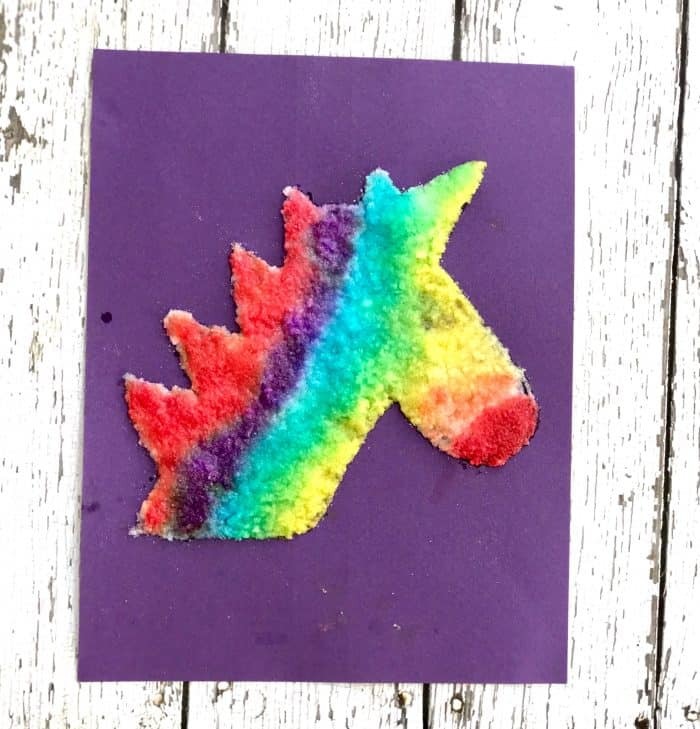 Unicorn crafts for kids to make (and unicorn food to eat!) are all the rage right now. 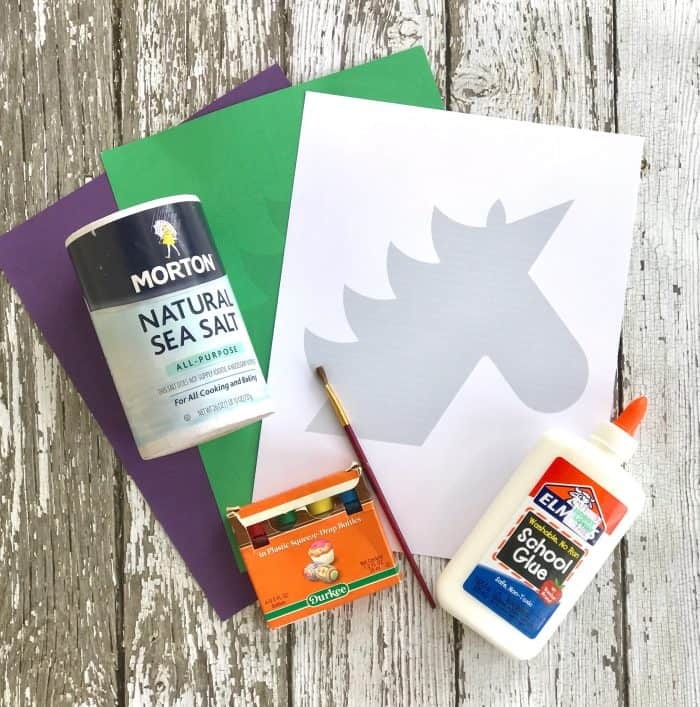 Try this watercolor salt painting unicorn craft for kids. It was a dark and stormy night afternoon so please forgive the bad lighting. 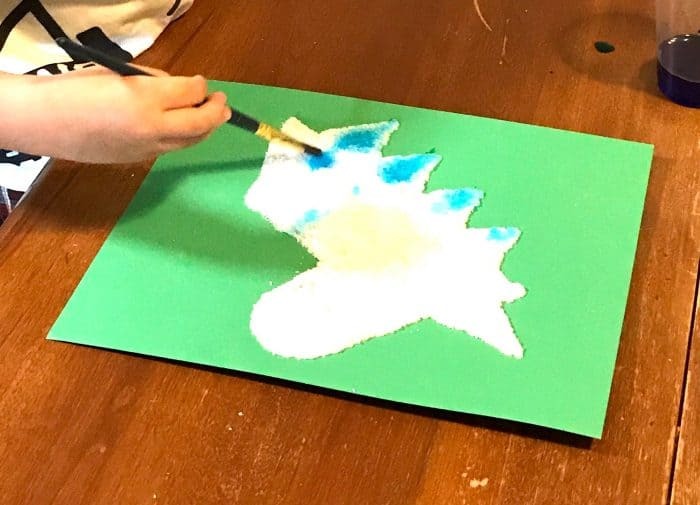 Just goes to show that this salt painting kids craft is a great rainy day activity for kids. 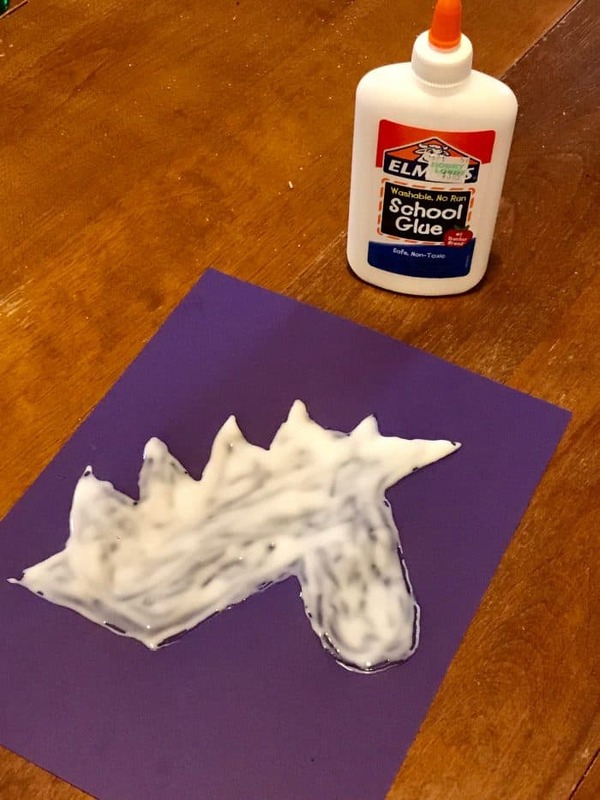 Step 2 – Sprinkle salt over glue and shake off gently. 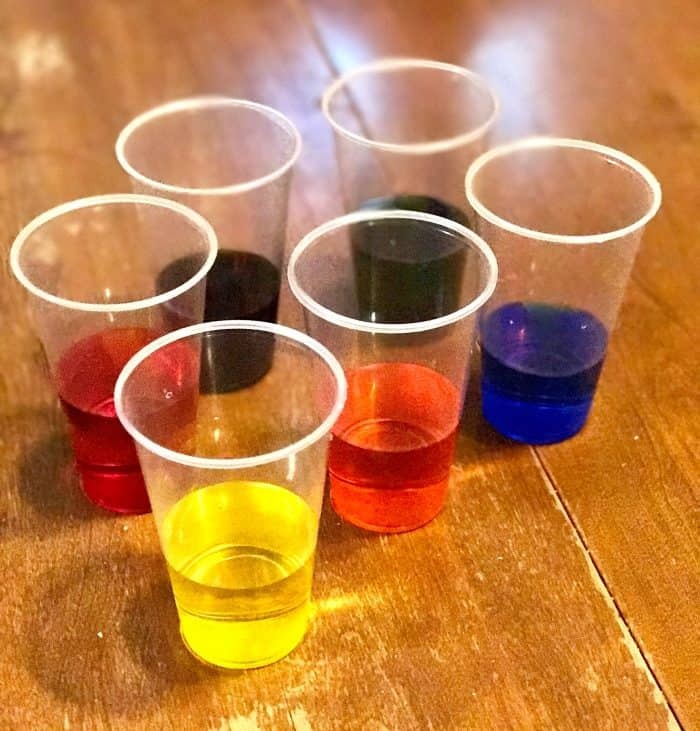 Step 3 – Mix your colors! Note that there’s waaay too much water in each of these cups. I had to pour half of it out and add more food coloring for it to be bold enough. Also, don’t even bother with trying to mix purple. It turns brown just like with purple Kool-Aid Easter eggs. Step 4 – Time to paint! Dip a brush into the water then touch it to the salt and watch it spread. 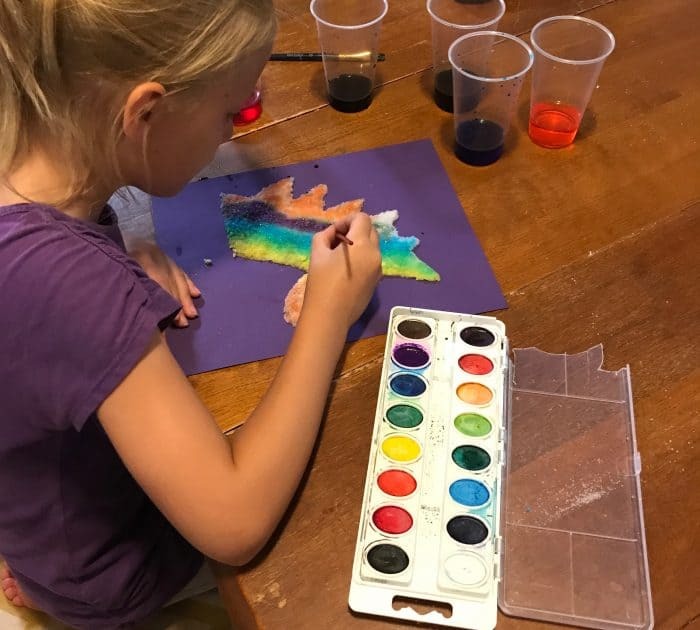 Sweet T made a rainbow unicorn (of course) and didn’t like the red looking orange and the purple looking brown so we glossed over the surface of those two colors with a water color set to add some vibrance. 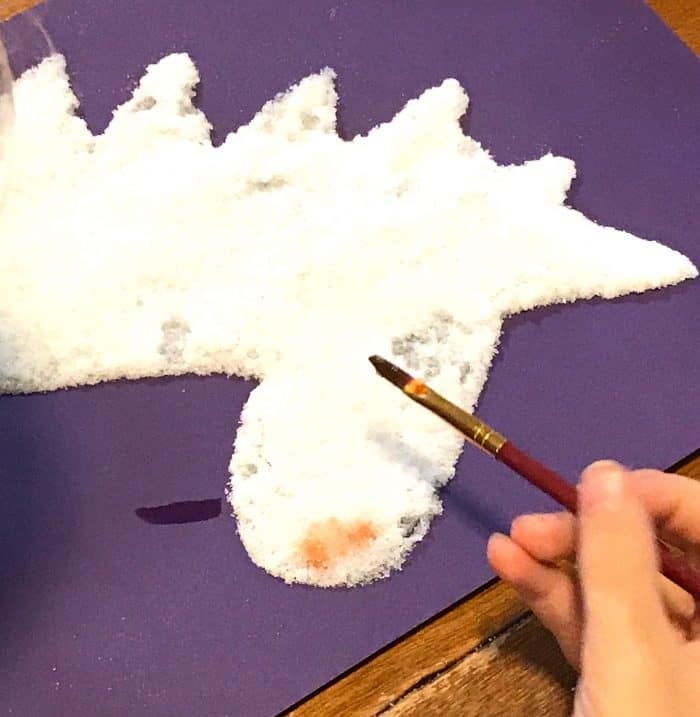 This salt painting kids craft turned out pretty well and they both had fun with it. 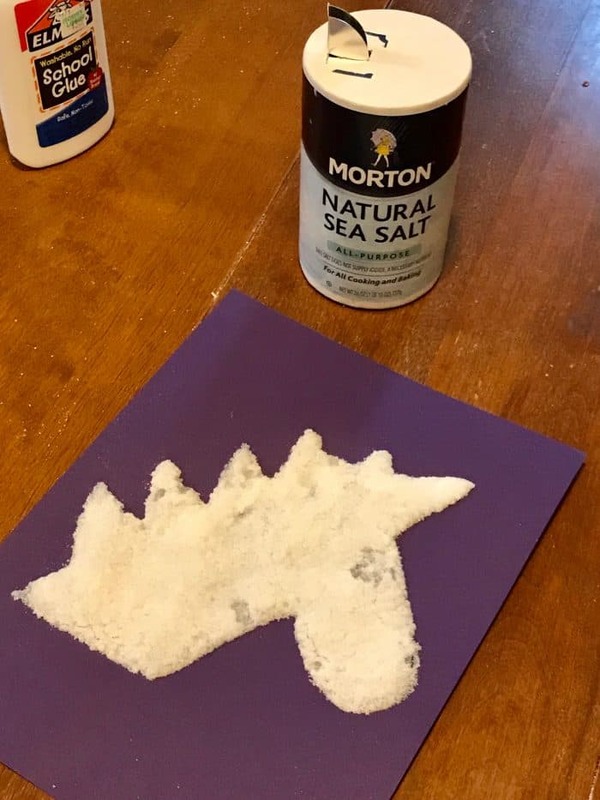 If you like this watercolor salt painting unicorn craft for kids, check out this fun and simple kid activity too! It would keep Sweet T busy for at least 30 minutes with minimal supervision when she was a toddler.